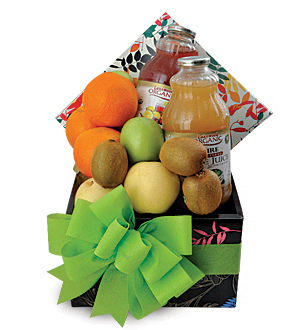 A wholesome box of fresh crunchy fruits and 2 refreshing bottles of organic fresh Lakewood Juices. Includes Lakewood Organic Apple 100% Pure Juice 1 litre and Lakewood Organic Light Cranberry 1 litre. Comprises of at least 4 variety of fruits for a good healthy start to recovery.